Have you ever tasted fresh dug potatoes? 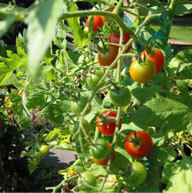 Have you ever tasted a freshly picked-from-the-vine tomato? Cherry tomato? 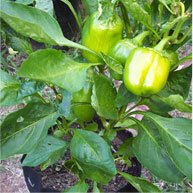 Green Pepper? The problem is that not everyone has room for a garden. 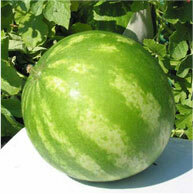 Traditionally, container gardeners have struggled to grow fruits, vegetables & edibles. 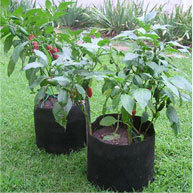 Plastic containers get too hot for optimum vegetable growth. A study at the University of New Hampshire showed that on sunny, 80-degree days in New Hampshire, temperatures inside plastic containers can be up to 125 degrees. 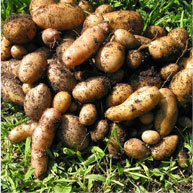 Potatoes and other vegetables do not grow when container temperatures reach the cooking range. 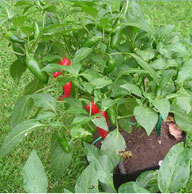 Roots do not grow in 120-degree soil, and if the roots do not grow, your plant will not grow. 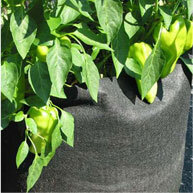 Heat release makes growing vegetables in containers possible. 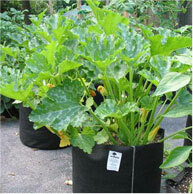 With fabric Smart Pot containers your potatoes and vegetables continue growing all season long. And heat cannot build up in the Smart Pot. 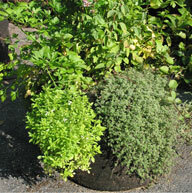 We have had great success container growing these plants with the Smart Pot. A look at the mechanics of containers explains why the Smart Pot is better for these touchy plants. 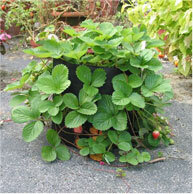 The Smart Pot allows air to flow through the sides of the container and your soil mixture. With this aeration, roots become more naturally fibrous. 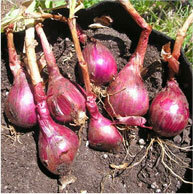 With more fibrous roots you can use a heavier, more water retentive mix that seems to support these plants better. 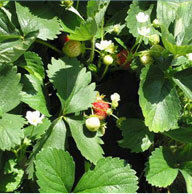 You can use a mix that has some soil content.